TIVERTON COMMUNITY ARTS THEATRE. SHOW START 8PM. DOORS 7PM. 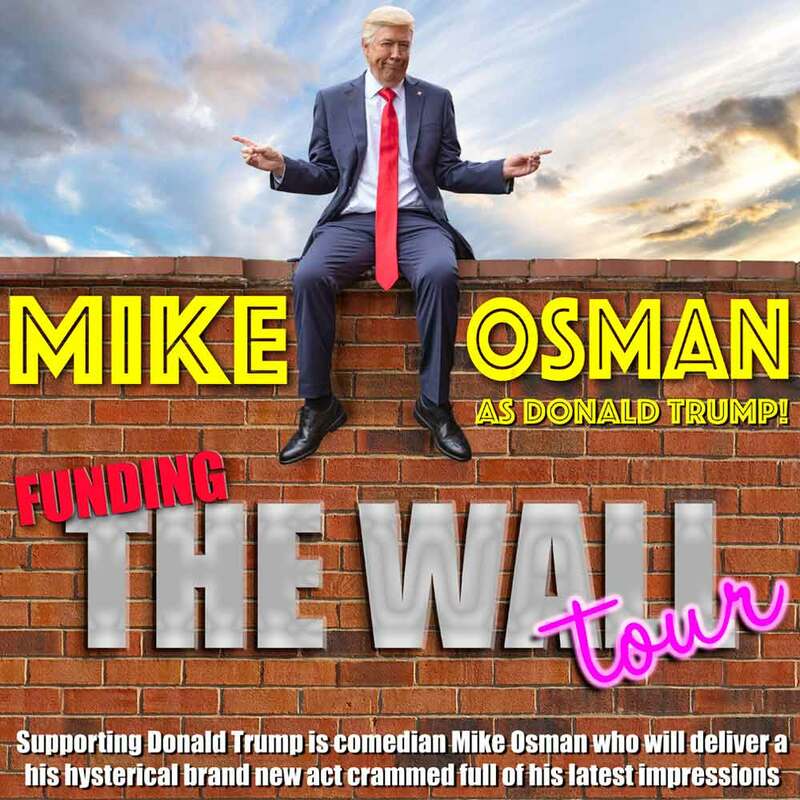 Join impersonator Mike Osman for a journey of Trumpdom – as Donald Trumped plus friends. "It’s gonna be a great show, the best show, you’re gonna love it. It’s gonna be tremendous, so beautiful, it’s true. "There will be so much locker room humor, unbelievable humor but no fake stuff, no fake stuff and the press are banned. "I've got all the best jokes it’s true. "You gotta love this show, it’s gonna be huge, so huge. "This is an executive order - go buy a ticket now and together we can make TCAT great again."